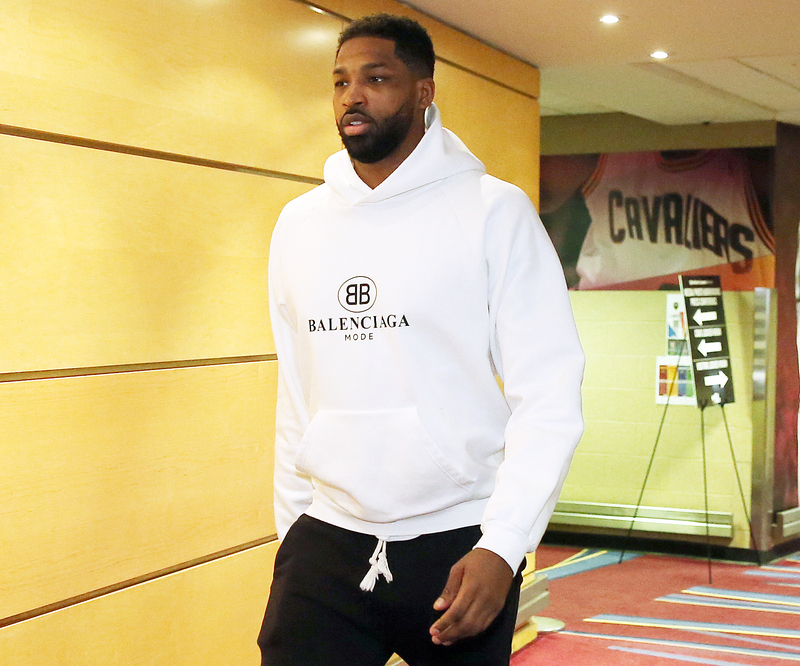 Tristan Thompson didn’t hit the court at all during the Cleveland Cavaliers’ first playoff home game on Wednesday, April 18. The NBA star, instead, watched his team take home a victory against the Indiana Pacers from the bench. Thompson, 27, hasn’t played as much since news broke that he had been cheating on Khloé Kardashian during her pregnancy. After allegations — and video of him appearing to kiss a woman surfaced — he got booed during an April 11 game. Additionally, he only played two minutes in a game earlier this week. As previously reported, the athlete has been in Cleveland, Ohio, since the birth of his and Kardashian’s daughter, True. The Strong Looks Better Naked author, 33, has yet to comment on the scandal, but she has gushed over their newborn. She was born on April 12 and weighed 6 pounds, 13 ounces. Her relationship with Thompson, however, hasn’t crossed her mind as much. “Khloé has promised her mom, sisters, Rob and friends that she will absolutely be returning to Los Angeles with True after Tristan’s team is done with the NBA playoffs. She is absolutely not even thinking about her relationship with Tristan,” the source told Us.